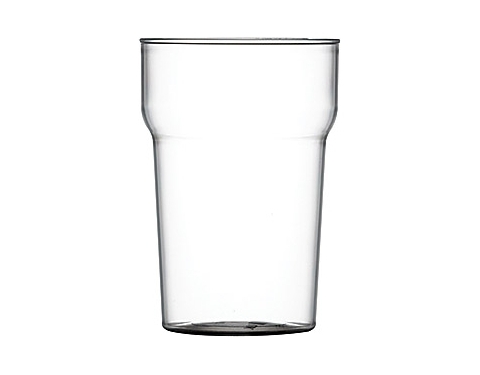 These more familiar shaped half pint glasses are constructed in unbreakable polycarbonate with a crystal clear finish and can come unit marked or plain (ask for details). They are amazingly dishwasher proof for up to 500 washes which means that your branding will be around for many months to come. 104 x 72 mm dia.